Product prices and availability are accurate as of 2019-04-17 22:57:24 UTC and are subject to change. Any price and availability information displayed on http://www.amazon.com/ at the time of purchase will apply to the purchase of this product. 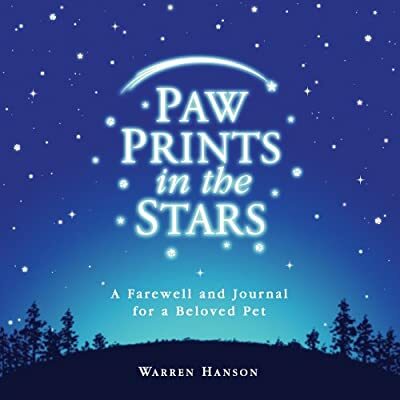 The Paw Prints in the Stars: A Farewell and Journal for a Beloved Pet is a wonderful book full of life lessons and memorial pages that is written in the perspective of the departed dog. We hope that this book brings you comfort and helps you to remember the good life of your beloved furry companion. 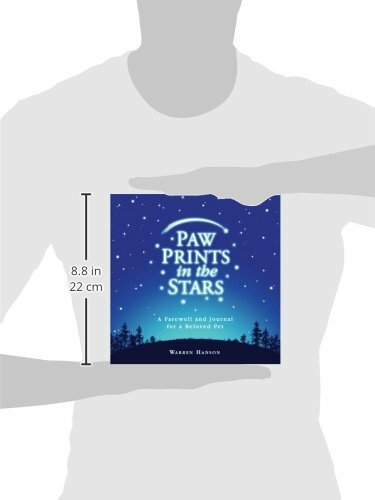 Paw Prints in the Stars was created to help one deal with the loss of a beloved pet. The book is written in the voice of the pet that has passed and brings peace and comfort while celebrating life and the lessons learned. There is a place for treasured photos and journal pages for favorite memories as well as a special ribbon to hold collar tags.